"Just Us Girls" Sketch Challenge! (One sketch and two cards.) Here is the card I submitted for the JUGS14 Sketch Challenge. I wanted to make a card that had no 'limits' or restrictions as to who's products I used. I think if your products are the best, everyone will use them, right? 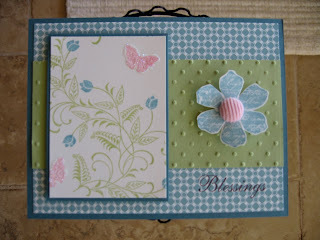 So, as you can see, most of the products are from Stampin' Up! 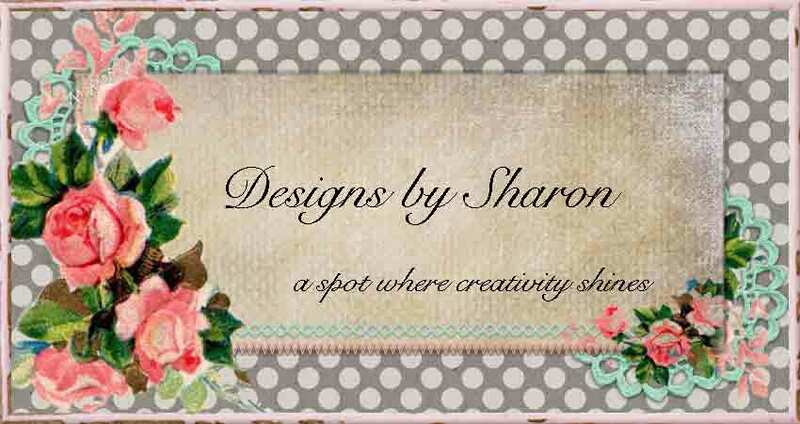 Another beautiful card Sharon! So soft & feminine looking. 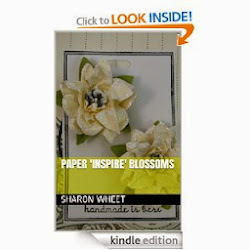 Love the corduroy button in the center of your flower embellishment! Thanks for playing along with Just Us Girls sketch challenge - I hope you join us Saturday for an all new technique challenge! Beautifully done - I love this set from PTI - it's perfect in this sketch! Thanks SO MUCH for playing along with Just Us Girls as we kick off a whole new year. Hope to see you again this next week, too. Very pretty...love the soft colors after the holiday colors we've been seeing! So refreshing! Thanks for playing our JUGs challenge! So soft and pretty - BOTH of your cards are!! Just lovely. Thanks so much for making time to play with us at the Just Us Girls callenge. Have a super day! !